Bridge of Books Foundation began its journey in 2003 with the simple belief that all children should have books to call their own. That first year, Executive Director Abby Daly opened her own home as the first Bridge of Books location. Her home quickly filled with boxes of donated books. Abby, along with a determined group of volunteers (and an understanding family), delivered almost 8,000 books that first year to children in Monmouth County who did not have books of their own. The number of books and our reach throughout New Jersey has grown ever since. Bridge of Books quickly outgrew Abby’s home. Red Bank Storage came to the rescue, providing first one, then two, then three storage units to house all the books coming in. In 2004, the number of books out to children almost doubled, and more than doubled again by 2006. And we started to branch out of Monmouth County, reaching children in Ocean, Burlington, Mercer and Passaic counties, then Camden, Middlesex, Hunterdon and Essex counties. 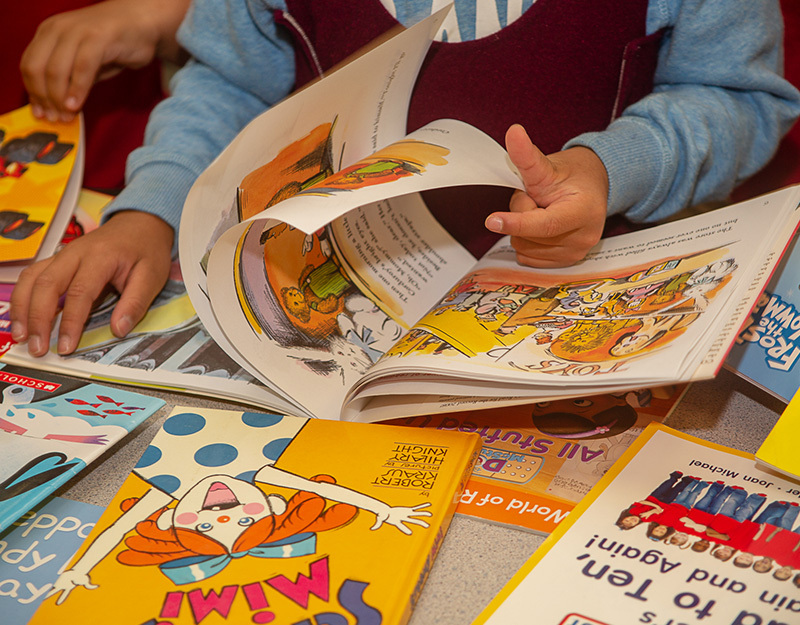 While many of our books reached children through our school connections, as word spread, we started developing great partnerships to get books into the hands of children through organizations like the Department of Children and Family Services, Horizons, and the New Jersey Youth Corps. The number of books coming in, being sorted and getting to New Jersey’s children had doubled again by 2013, with 75,551 books leaving the Red Bank Storage facility. Just ten years after moving Bridge of Books out of Abby’s home, Bridge of Books had delivered almost 470,000 books to children in 19 of the 21 counties in New Jersey. By 2014, Bridge of Books had outgrown the three Red Bank Storage units. This time, Vonage came to the rescue. In 2015, Bridge of Books moved into a much larger storage and office space at the Vonage campus in Holmdel. The impact of this move shows in the numbers. With the loading dock, the larger space, lots of empty shelves to be filled, and the wonderful people at Vonage our book donations jumped to 125,035 in 2015 and 141,070 in 2016; we reached children in the final two counties, Bergen and Sussex, and were able to send more books to children in the harder to reach southern counties. More and more teachers and school administrators learned about Bridge of Books, and we continued to find creative ways to reach children, like the successful Barbershop Program. From our first donation at Red Bank Primary School fifteen years ago to our millionth book at the end of this year, Bridge of Books has put books into the hands of almost 500,000 New Jersey children from Sussex to Cape May. It was our belief in the beginning and continues today that ALL children should have books of their own. Join us on our road to a million books, and help change a child’s life.